Yuzo Koshiro (古代 祐三) is one of the well-known faces of Japanese video game music. In the 1980s and 1990s, he created the soundtracks for games including the popular Mega Drive titles The Revenge of Shinobi (with his name appearing on the title screen), Streets of Rage and Beyond Oasis, following up with the score for the Super Nintendo game ActRaiser. His latest work includes compositions for the highly acclaimed games Shenmue and Wangan Midnight Maximum Tune 2. 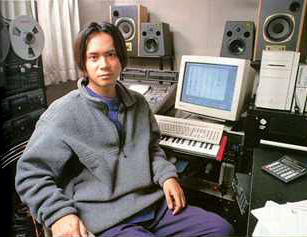 Koshiro is also partially responsible for composing the original soundtrack for Ys, a popular series of role-playing games. Unfortunately, he does not own the rights to any of his famous Ys compositions, and has indicated in interviews that he is bitter about that fact and finds their resulting international acclaim ironic. Yuzo Koshiro is one of the pioneers in releasing soundtracks with his own music. The live orchestral version of ActRaiser was one of the industry's first of its kind. A live performance of this music could be heard in 2004 at the second Symphonic Game Music Concert in Leipzig, Germany and in 2005 at the first Chamber Music Game Concert in Leipzig, Germany. Koshiro is participating on PLAY! A Video Game Symphony, a symphonic world-tour featuring video game music. His arrangement of music from the Sonic the Hedgehog series is presented in every concert all over the world. He attended the concert on May 27, 2006, in Chicago. On August 23, 2006, his music from Revenge of Shinobi was performed at the fourth Symphonic Game Concert in Leipzig, Germany, in an arrangement done by himself. His sister, Ayano Koshiro, is responsible for many of the character designs in the games for which Yuzo has composed music. One of the more popular examples is the Bare Knuckle (Streets of Rage) series on the Sega Mega Drive. She also worked on character design of Ys and ActRaiser.